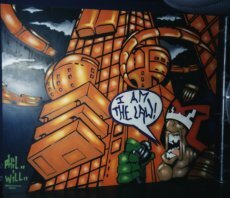 DREDDCON 4 UPDATE! FREE HEROCLIX! There will also be HeroClix demonstration games, so Dreddcon visitors can join in and learn how to play this great game (not to mention get the opportunity to thrash the tar out of other, lesser comics characters). 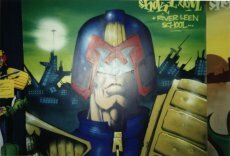 Also, at 4.30pm, we will be auctioning for charity a set of large (and we mean LARGE) Mega-City One themed graffiti panels that many of you may have seen at the travelling Judge Dredd exhibition that has been touring museums in the UK over the past two years. 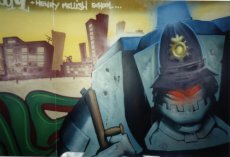 All money made from the sale will go towards the Galleries of Justice, for their work with young people on a crime prevention programme.